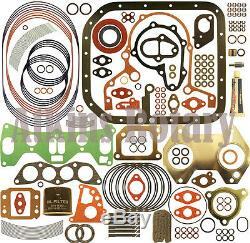 Designed Thermal Pellet Replacement Oil Pump Chain. Outer (Black) Water Jacket Seal. Inner (Brown) Water Jacket Seal. Designed Viton Oil Ring Inserts Intake Manifold To Block Gasket Oil Filter Crank Angle Sensor O-Ring Oil Metering Pump O-Ring Misc O-Rings and Crush Washers Tension Bolt Washers Front & Rear Main Seal Torrington Bearings. Designed 2MM High Performance Apex Seals 2MM Apex Seal Springs 93+ Corner Seal Springs. Designed 2MM Solid Corner Seals. Atkins Rotary has come out with a new brown inner water jacket seal, its square cut and seamless. It is impossible to put this seal in wrong unless you twist it on accident. This new seal will take about 150 more heat than the stock seal. We have been in business in Washington State since 1982, We manufacture and sell quality parts for your Rx! Thanks for stopping by and have a zoom zoom day! The item "Mazda Rx7 Rx-7 Atkins Rotary Turbo Engine Master Rebuild Kit 1987 & 1988" is in sale since Friday, December 14, 2012.